Metal Additive Manufacturing (AM) is a recently developed family of production processes, which consists in generating parts in metal alloys layer by layer. Thus, metal AM to be contrasted with “subtractive” processes like machining and with the traditional processes of forging and casting. 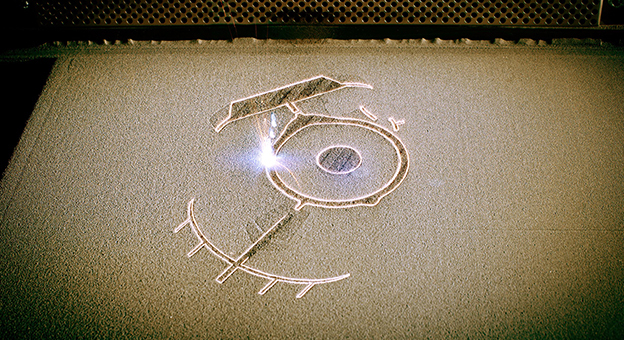 Metal AM is also commonly referred to as “metal 3D printing”. MMB masters what is certainly the most technically and economically mature metal AM process. It is called Powder Bed Fusion with a Laser Beam on Metal (PBF-LB-M) according to ISO/ASTM standards, although it is more commonly know by system developer’s désignations such as Selective Laser Melting (SLM) or Direct Metal Laser Sintering (DMLS). Maintenance and support for qualitifaction endeavorrs with the QSE team. The MMB metal AM team plays the critical role of technical advice for customers to fully leverage this new technology’s opportunies. MMB’s high capital investments in metal AM go hand-in-hand with T&T efforts, for which cooperation and R&D partnerships help turn research into impactful fundamental or practical innovations. MMB acquire a first machine as early as 2003 to start experimenting with the metal AM technology. Involvement in European research projects and subsequent investments have helped secure the lead. MMB directs investments in metal AM on three axes : production systems for economies of scale (one of the largest machine parks in France), post-processing equipment and knowledge for creating synergies by vertical integration, dedicated infrastructures for a state-of-the-art production environment. The MMB metal AM and R&D teams can jointly develop process parameters to enable the AM of new materials. Customers’ funding will grant them ownership or exclusivity. MMB developed process parameters for stainless steel 17-4PH and 32CDV13, and for confidential high-performance aluminium grades internally. The MMB metal AM specialists have notable experience at processing rare and precious metals such as 18-Carat gold (yellow, white or pink), platinium, titanium and bronze. MMB is an innovation Partner for jewelers and luxury brands.